Are we ready to see two of the biggest legends in music performing LIVE at the Blossom Music Center??? On tour together this summer, none other than the legendary James Taylor and incredible Bonnie Raitt will perform for you at Blossom on Wednesday 9th August 2017!! Get your tickets to see these award-winning, multimillion-selling musicians NOW before they sell out – click the “Buy Tickets,” button above to get yours!! 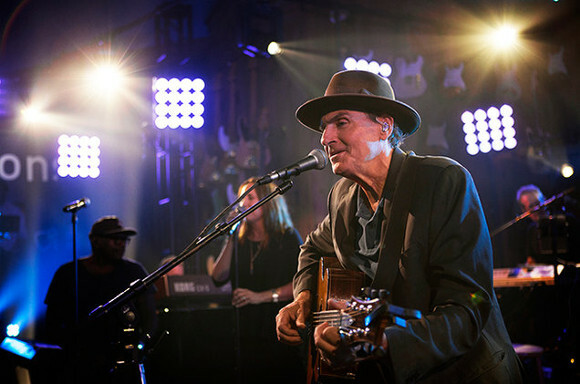 With a staggering 100 million record sales across the world, James Taylor is one of the best-selling music artists of all time. Breaking into the mainstream in 1970 with his song “Fire and Rain,” which hit third position on the charts, he had his first number one single with his cover of “You’ve Got A Friend,” by legendary songwriter Carole King in 1971. He has gone on to collaborate with many other notable artists including Joni Mitchell, Neil Young, and Sting, to name a few, and collect awards by the dozen, including no less than SIX Grammy Awards. Rock, blues and country artist Bonnie Raitt is similarly highly regarded, featured in Rolling Stone Magazine on both the “Greatest Singers of All Time,” and “Greatest Guitarists of All Time,” rankings. Her breakthrough album in 1989, “Nick Of Time,” shot to the top of the Billboard 200, sold in excess of 5 million, and won three Grammy Awards, including Album Of The Year. Now, these veterans in music are teaming up to bring you an incredible concert experience like nothing you’ve ever seen or heard before. What are you waiting for?? Hurry up and grab those tickets! !